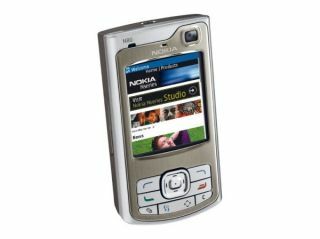 An incompetent burglar was on trial yesterday after he left his mobile phone at the scene of a robbery he'd committed. George Burden, 44, broke into a home in Reading and stole a brass coal scuttle, a set of Victorian scales and a kitchen table. Not only did the daft crook leave behind his mobile phone, the phone was also loaded with photos that he'd taken of himself. When officers found the mobile, they recognised the man's picture and so his ineptitude came back to haunt him. Prosecutor Richard Sharp told Reading Crown Court: "There was a mobile phone found at the scene and a police officer recognised a photo of the defendant that was on it,"
The defendant claimed that his phone had been taken from him and that he'd been set up, but the judge was having none of it and sentenced him to 160 hours of community service. Mr Recorder Wilson, presiding over the court said, "As you well know, if you break into other people's homes you richly deserve to spend time in prison."